The time has almost come. The time when you've covered all you need to do and the children are all excited for the holidays.... but there are still a few days left to teach. Here are some ideas that could be used during the last week. Have a teddy bears' picnic. It doesn't have to involve too much organisation. They could just eat their normal school lunch and do it at a different time and with their favourite teddy bears in tow. If it's dry, it could be a treat to eat their snack on blankets on the grass. If not (for my Irish teacher followers, this is the more likely option once the Leaving Cert weather is over! ), you could just clear a space in the classroom and put down the blankets there. They could read "We're Going on a Bear Hunt" and sing "Teddy Bears' Picnic" and the horrifically catchy, "Yogi Bear Song" - WARNING: Do not, UNDER ANY CIRCUMSTANCES show any video entitled "Yogi Bear Song" on YouTube without listening it to yourself first. There is a very non-child-friendly version out there! "I Am" poem to get them reflecting about their personal characteristics, strengths and characteristics from Who's Who and Who's New. 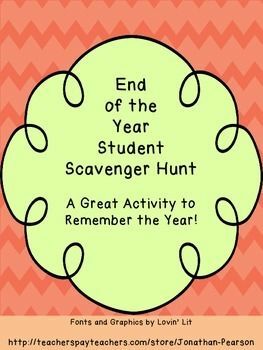 This end of year scavanger hunt from Jonathan Pearson. You might need to modify this a little to make it suitable for your class. 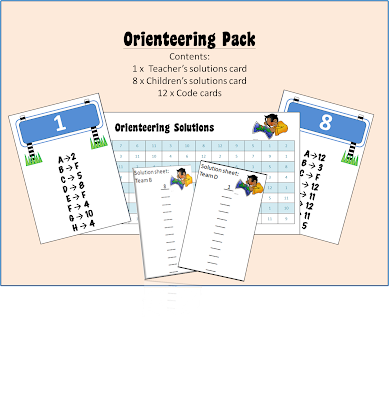 Here's another free one from SuperTeacherWorksheets. Introduce your children to these inspirational quotes (from Jason's Online Classroom). They can then design a poster to write them beautifully and illustrate accordingly. They could be used as a writing prompt so that their story uses the quote as its core. A table quiz. I'm a self-confessed quiz nerd and am quite happy to ramble off table quiz questions off the top of my head. If you need a bit more guidance, why not use a ready-made quiz like Seomra Ranga's wonderful art quiz (on PowerPoint, created for Digital Art Week but could be tweaked to make it suitable for your needs - non-Irish teachers, there are some questions you might want to change/remove) or this one from The Telegraph (answers are here). A "field trip" to the next grade. Your children think of questions they would like to ask to children in the class above them. Then they go to that classroom and find out the answers from the "experts." What a fantastic idea from Melissa at Inspire Me ASAP. 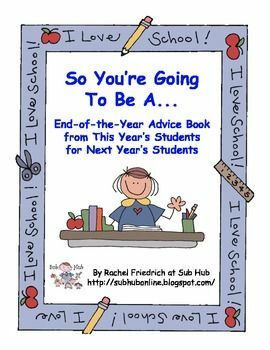 Going the other way, this end of year book allows your current students to give advice to incoming students. 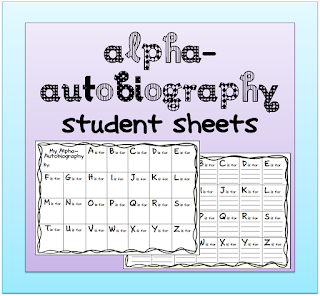 It's a great way for your students to reflect on what they have learned and it's a lovely thing to begin the school year with if you have the same class level. Minute to Win It games. Maybe you're familiar with the gameshow "Minute to Win It." 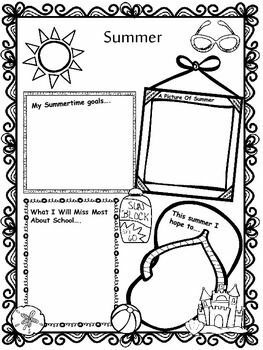 I wasn't until Ginger Snaps shared this great idea for some fun class challenges to complete within a minute. She has given the link to the timer (for your board) and a playlist of the instructions to the challenges. She has also given a list of ones she has used and the required materials. Orienteering around the school grounds. I've created a resource pack with instructions on how to set it up and carry it out and the resources needed. All you have to do is make a map of your school grounds, stick the clues around and hand out the students' sheets. Click here to download it for free from Google Drive. 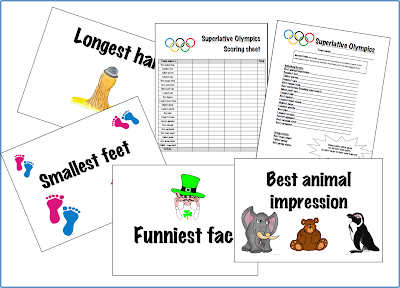 Superlative Olympics. This is a game I have used to teach comparatives and superlatives to children with English as a second language in summer camps. I made my own cards to go with the game. Click here to read my blog post about how to play. It's suitable for primary school children of all ages and it's loads of fun! 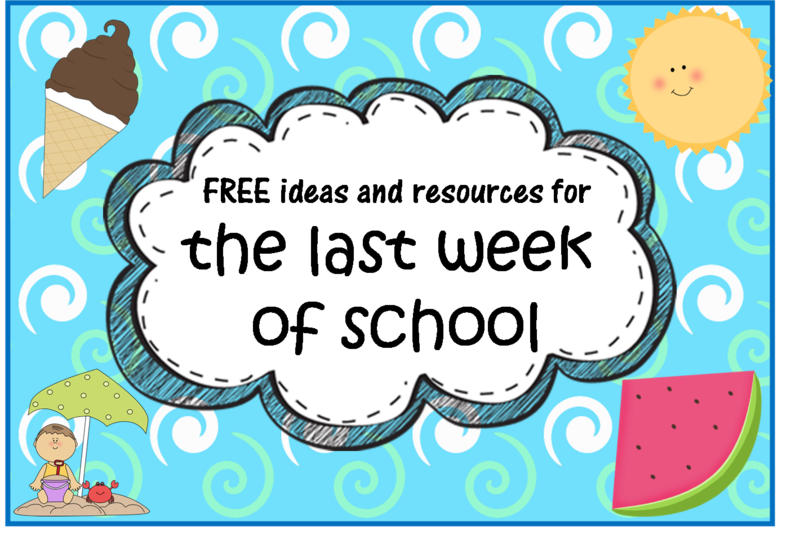 Click here or on the image below to download the resources for free from Google Drive. Create a wordsearch with all of your children's names in it. Thanks to Jordon at The Half Full Cronicles for this idea. One of my favourites is to create a maths table quiz to revise the topics you have covered in the year. I put different maths questions on a PowerPoint/Keynote presentation, split the children into teams of 3 or 4. They love working together to solve the problems. 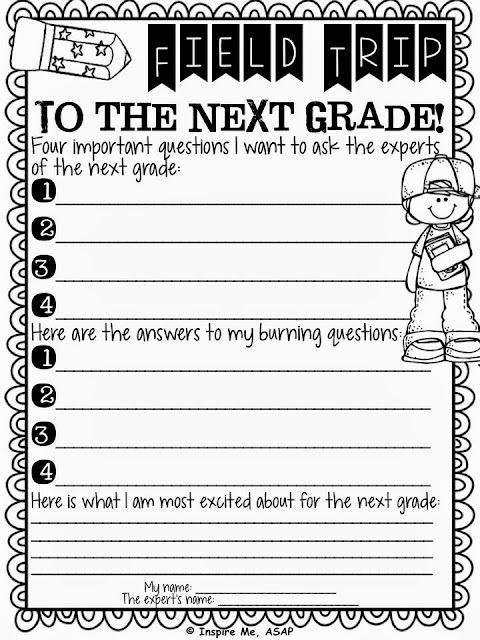 Just make sure you put in a few really tricky ones to get them really engaged! 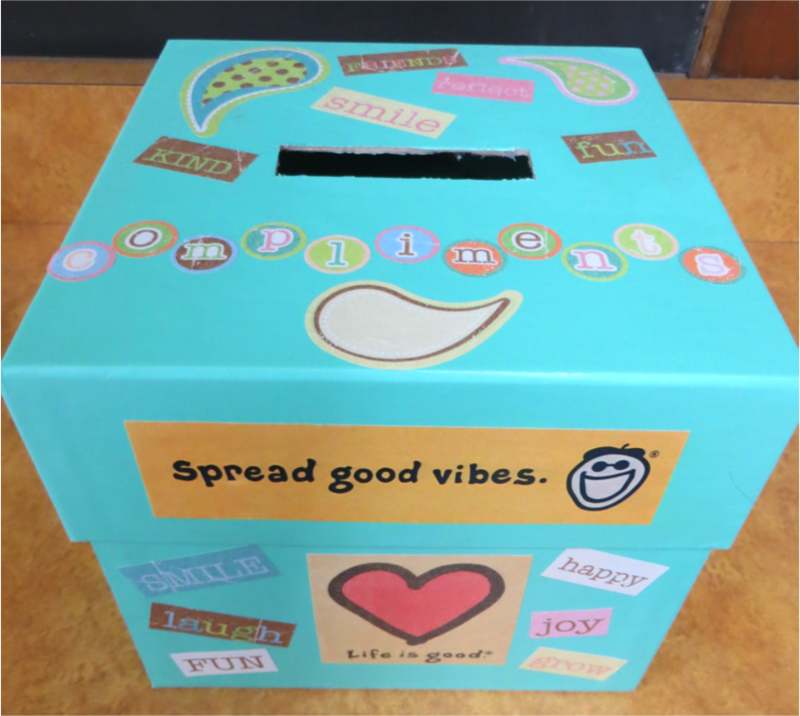 Have an end of year compliments box. All you need is a box/basket, small pieces of paper and an envelope for each child. Obviously, it would be better to do it a day before they take them home so that you can read them and make sure there is nothing bad in there. Here's a ready-made compliment kit to get you started.Thanks to Blair Turner for creating it. Create an alpha-autobiography. The children choose words that mean something to them and explain why, for example: A is for Adam, my brother's name, B is for Belfast, where I was born; C is for cycling, my favourite sport... I've made two free-to-download versions, one with lines, one without. Click here or on the image below to download from Google Drive. I'm going to enlarge mine to A3 to give them more space to write/draw. The best way to finish the school year!